Happy Holidays! 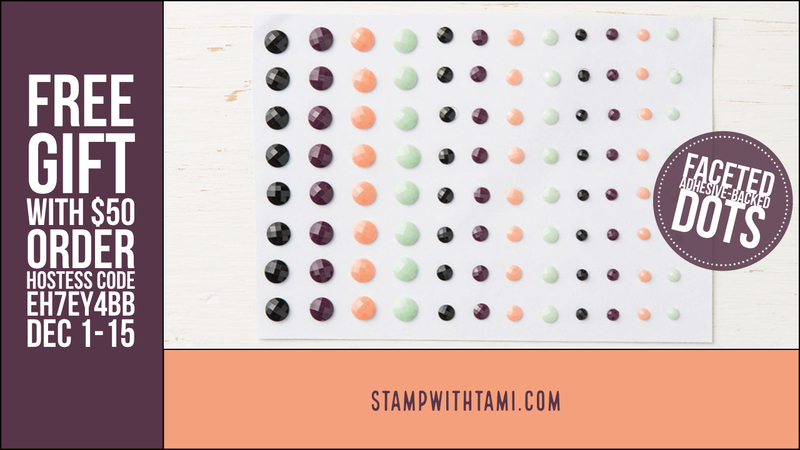 To celebrate the season of giving, I’m offering free Faceted Dots Embellishments when you place a min. 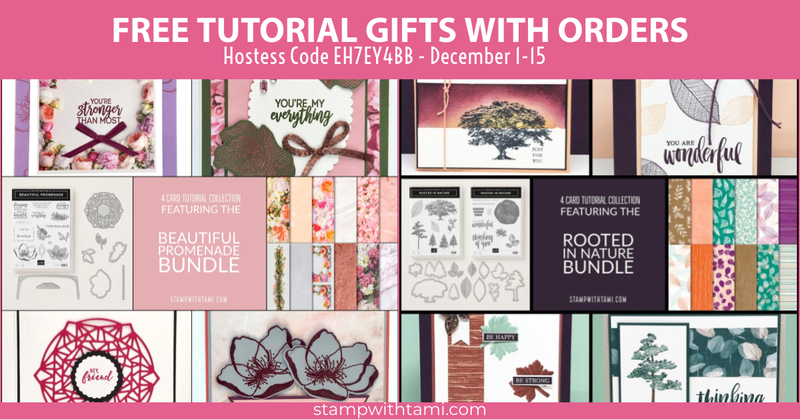 $50 order in my online store December 1-15 using the hostess code EH7EY4BB (must use code unless order is over $150 to qualify). Are you in my VIP Online Club? If so you will receive an additional bonus gift of Metallic Brads from me. This is in addition to the Faceted Dots. Because VIP orders are due on December 10, this offer is only good until December 10. Click fore details on the VIP Online Club. Gifts ship directly from me on December 20. Orders over $100 should consider purchasing the Demo Kit for the absolute BEST DEAL! Click here for details. Automatically receive these free tutorials from me when you join (and free tutorials every month), plus $26 free, free shipping on your kit and demo discounts.